You needn’t be a Dickensian miser to enjoy fingerless gloves. 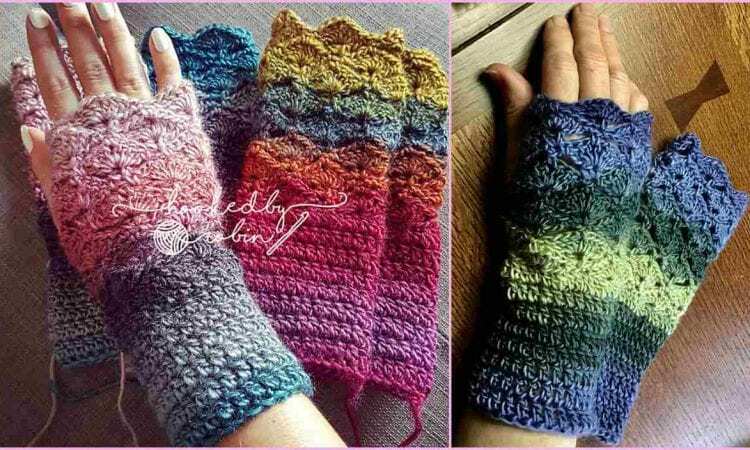 In fact, this pattern gives you endless room to interpret and play with colors, enabling you to make these gloves to match pretty much any outfit, or the tastes of those you choose to give them too. Did we mention, these could make a great gift? No? Well, they most definitely can. So, enjoy crocheting and wearing these beautiful pieces.